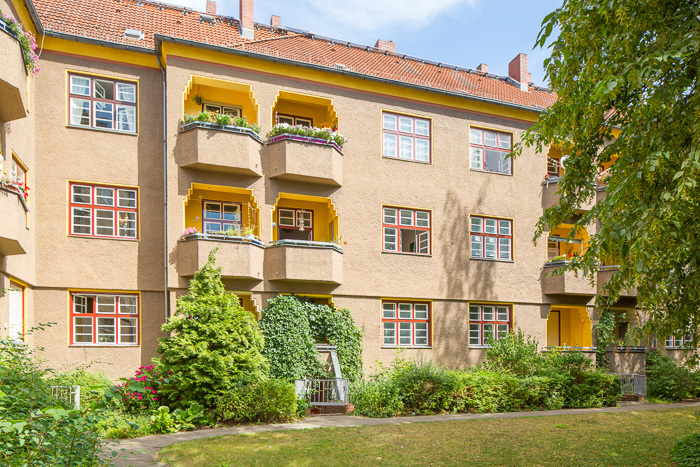 Berlin is known worldwide for its Berlin Modernist UNESCO World Heritage estates, for example the Horseshoe Estate or the Carl Legien Residential Estate. However, the city has a wealth of other residential estates of outstanding architectural and historical significance as well. 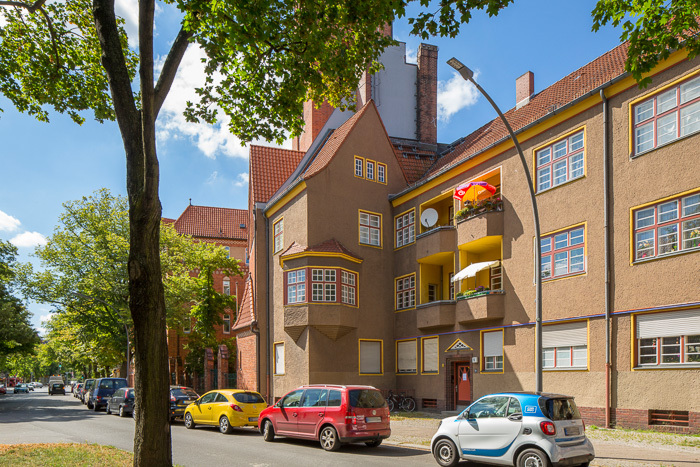 The borough of Reinickendorf has now recognised a particularly important example of these estates with an official commendation at its Developers’ Awards. 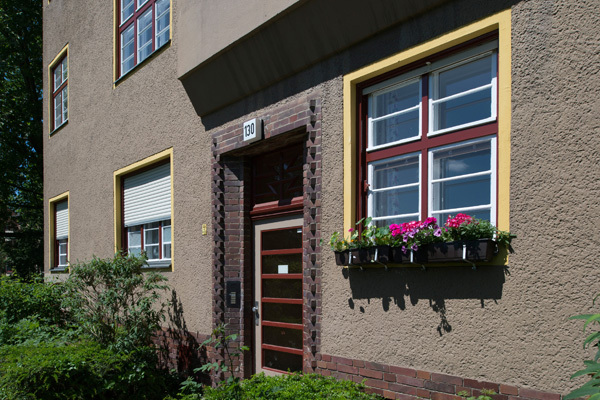 As the owner of the Paddenpuhl Estate, Deutsche Wohnen was awarded this commendation in the category “Listed complexes – housing” for its comprehensive refurbishment of the apartment and stairwell windows and of the front and rear courtyard doorways. At a small ceremony in the Humboldt library, Deutsche Wohnen was presented with this award by the local borough mayor, Frank Balzer. The Reinickendorf Developers’ Award has been presented every two years since 1992 to recognise particular commitment by developers in the borough. It is given in acknowledgement of exceptional projects that contribute to the care of the local townscape and promote the high-quality development of the borough. The Paddenpuhl Estate, which is located not far from the White City Estate, was built between 1927 and 1937 around the so-called Paddenpuhl, a rainwater basin that serves both as a lake and as a feature within the estate’s landscaped areas. The estate consists of a total of 500 flats and its three-storey buildings extend along Klemkestraße. It was designed by the architect Fritz Beyer, with the first buildings being constructed in accordance with his ideas. In the 1930s work then continued on the estate under the architects Josef Scherer and Erich Dieckmann. 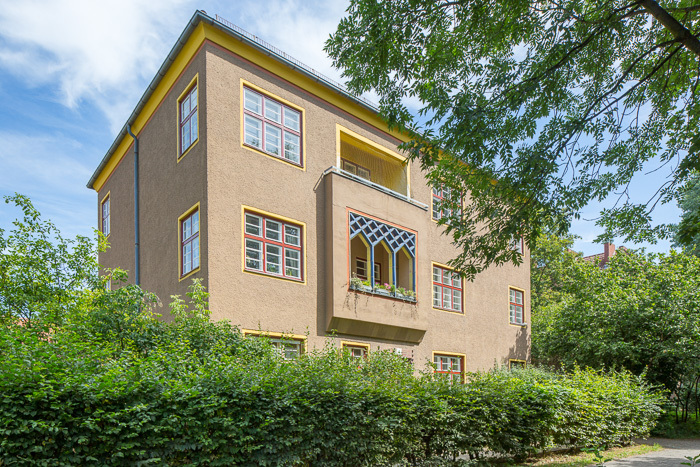 In contrast to the new objectivity of many other estates of architectural and historical significance, the Paddenpuhl Estate is characterised by its expressionistic design. Typical of the appearance of the estate are its multi-coloured window frames and the equally colourful corners of the buildings and the surrounds of the loggias. Furthermore, the pointed archways and colourful pillars mark a powerful contrast in the facades of the buildings to the oriels of which they are part. The picture is completed by the external grounds which were designed by Erwin Barth. Deutsche Wohnen is the largest private owner of listed buildings in Germany. Approximately 30,000 flats in the company’s holdings have this special protected status. 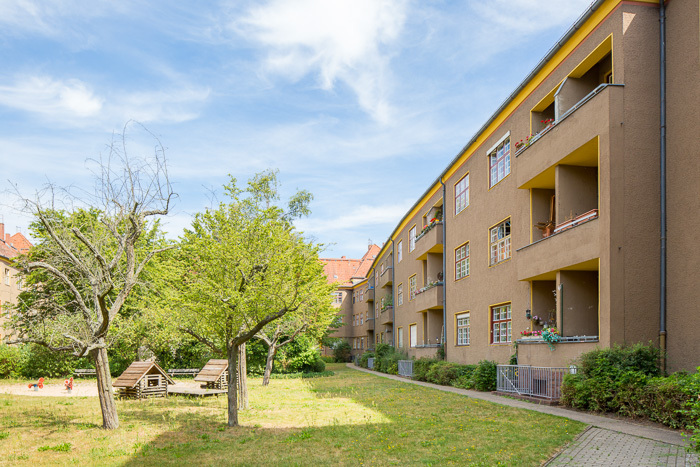 Moreover, four of the six Berlin Modernist estates – the Horseshoe Estate, the Carl Legien Residential Estate, White City and Siemensstadt – are owned by Deutsche Wohnen and have been recognised as UNESCO World Heritage sites since 2008. Further complexes like the Woodland Estate in Zehlendorf are official candidates for UNESCO recognition. These estates are characterised by the work of architects like Bruno Taut who defined modern housing estates in the 1920s and 1930s with their ideas and have continued to influenced housing design ever since. In essence, they created an attractive style of housing that has retained its appeal to this day. Deutsche Wohnen is one of the leading publicly listed property companies in Germany and Europe with a business focus on managing and developing its portfolio, which consists mainly of residential properties. As at 30 June 2018, the portfolio comprised 163,942 units in total, of which 161,468 were residential and 2,474 commercial. 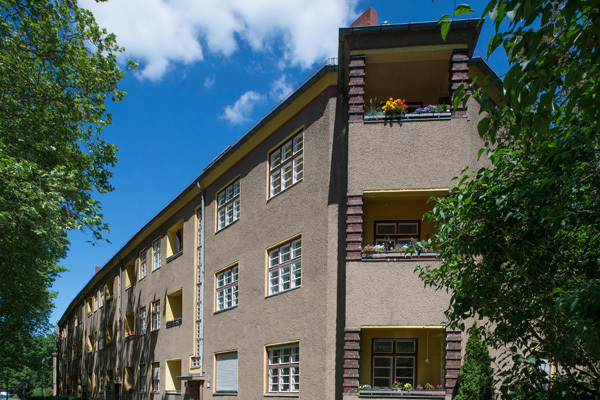 Deutsche Wohnen owns flats in four Berlin Modernist estates, which were declared UNESCO world heritage sites in July 2008: the White City Estate, the Horseshoe Estate in Britz, the Carl Legien Residential Estate and the Ring Estate in Siemensstadt.